American-born, London-based architect Eric Kuhne has died aged 64. He died suddenly in London on July 25, 2016 from a heart attack, and leaves behind his wife, Pamela. Eric Kuhne, who was born in San Antonio in Texas designed major buildings in many parts of the world, reports The Irish Times. 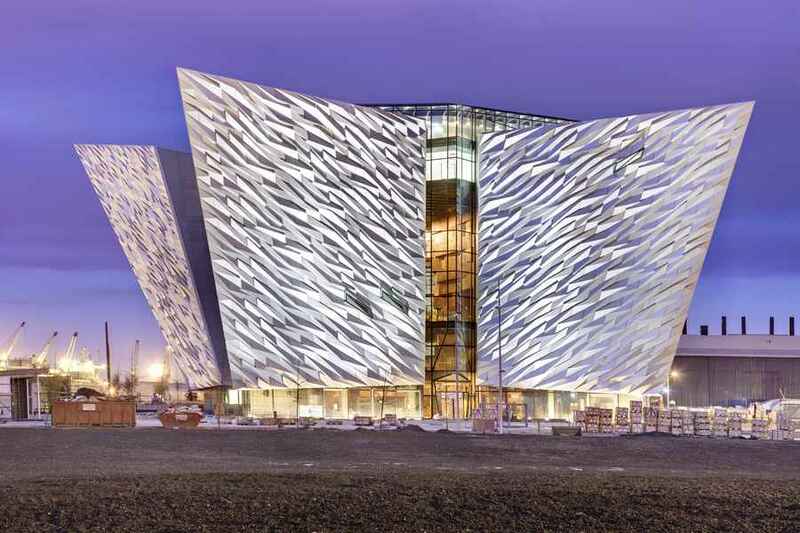 They include Cockle Bay Wharf in Sydney, Australia, the large Bluewater Shopping Centre in Kent in England, the BurJuman shopping centre in Dubai and the Titanic Belfast visitor centre. Mr Kuhne said in coming up with the idea for the Titanic centre he had “worked for seven years to conceive, design, and create an international destination in Belfast that celebrates five centuries of its maritime legacy including the building of the RMS Titanic”. The large Bluewater Shopping Centre was the largest shopping mall in Europe when completed in 1999. It impresed retail architects but didn’t win many architectural awards and slipped under the radar for many architects. 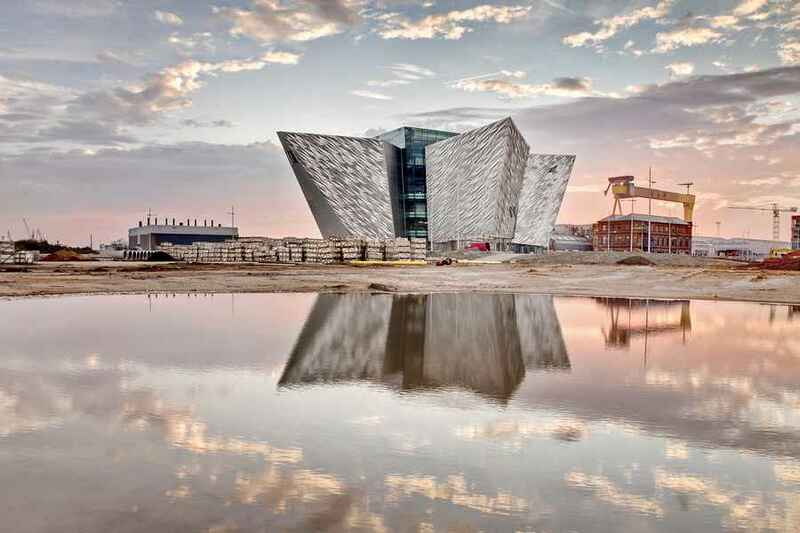 However the Titanic Belfast visitor attraction in Northern Ireland which opened in 2012 received wider acclaim. However its unusual starburst design wasn’t universally popular and the apparent desire for a blockbuster icon felt reminiscent of the earlier Bilbao Guggenheim by Frank Gehry. Kuhne conceived his later company CivicArts in 1975 and as five divisions of Research (Edgewater Mail & Breeze), Concept Design (Citilights), Professional Architectural Services (Eric R Kuhne & Associates), Industrial Design & Manufacturing (Tesserax Designs), and Investment (Spondulix Development). 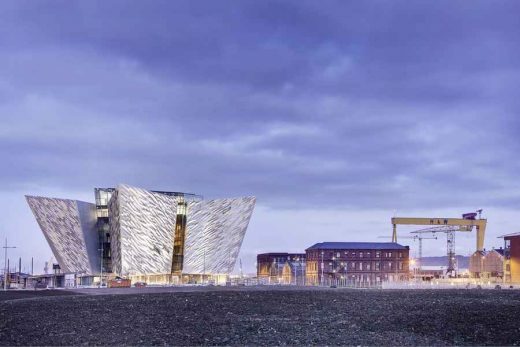 The Titanic Belfast project is viewed as the iconic centrepiece of the Titanic Quarter Regeneration Project which encompasses approximately 75 hectares of waterfront, former industrial brownfield lands to the south side of the River Lagan in Belfast City Centre. Large commercial building by Eric Kuhne & Associates including department store anchors and shopping malls. Towering over 200 stories, this twisting, tapering tower will create a vertical community made up of 7 neighbourhoods stacked atop one another. Three blades will terminate at different heights and atop each one will be cultural, civic, and religious amenities for the residents, workers, and guests. July 29, 2016 in Architects.